Denis G. Baskin, Ph.D. is Emeritus Professor in the Division of Metabolism, Endocrinology and Nutrition, Department of Medicine, and in the Department of Biological Structure, University of Washington. He received his Ph.D. in Zoology from the University of California Berkeley and postdoctoral training in neurobiology and cell biology in the Department of Anatomy at the Albert Einstein College of Medicine and later in immunohistochemistry and diabetes research in the Department of Anatomy at the University of Minnesota. He was Associate Professor of Biology at Pomona College until he joined the faculty at the University of Washington in 1979 as Director of the Cellular and Molecular Imaging Core of the NIH Diabetes Research Center. He held the position of Senior Research Career Scientist in Veterans Health Administration of the Departments of Veterans Affairs at the VA Puget Sound Medical Center in Seattle, where he directed the Molecular Morphological Analysis Core Laboratory and also served as Acting Chief of Staff for the Research and Development Service. An author of over 200 peer-reviewed publications, reviews and book chapters, his research has focused on the neuroendocrinology and physiology of food intake and obesity, particularly on CNS pathways integrating the effects of leptin, insulin, and oxytocin on energy homeostasis. He has specialized in the development and application of immunohistochemical techniques for physiological investigations on expression of neuropeptides in the brain, pancreatic islets, and GI tract. Along with former HCS president Bill Stahl, he inaugurated the HCS’s Immunohistochemistry Workshop at Experimental Biology meetings and later participated in establishing the HCS’s Immunohistochemistry and Microscopy Course at the Woods Hole Marine Biological Laboratory, and continues to teach in this course. 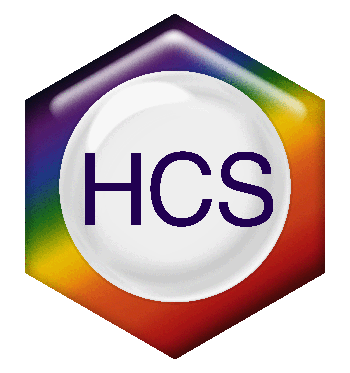 Dr Baskin has been a member of the HCS continually since1980. He was elected to the HCS Council in 1985 and was President of the HCS in 1990. Over the years he has served on all HCS committees, including search committees for editors for the Journal of Histochemistry and Cytochemistry. He continues to serve on the Education Committee and Publication Committee. Dr Baskin served on the Editorial Board of the Journal of Histochemistry and Cytochemistry from 1985 until 1995. He was Editor-in-Chief of the Journal of Histochemistry and Cytochemistry for 10 years, from 1996-2005. He has served as Executive Editor of the Journal of Histochemistry and Cytochemistry since 2005.